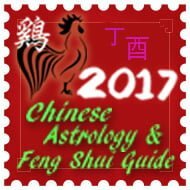 From 5th May 2017 to 4th June 2017 is the fourth month Yi Si (Yin Wood Snake) of the Ding You year (Yin Fire Rooster year) with the ruling energy of #5 in the central grid. This area can be very good for relationships this month and to enhance you should introduce some metal elements that are round in shape, a traditional enhancer and cure is a brass wu lou or any object that is round in shape and made from a good quality metal like brass copper, steel. If you have a main door or an important room like office, lounge or study ensure that documents signed during the month are checked through thoroughly before committing. 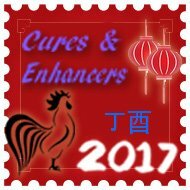 We can expect a lovely energy from here in May as the visiting #4 star can create a lovely peach blossom if activated correctly with the right enhancers. Try to introduce some healthy green leafy plants or blue flowering plants such as violets as they are good for this area. Fresh flowers displayed here will bring positive qi too. Symbolic objects such as a wu lou or six Chinese coins can be placed here all month. 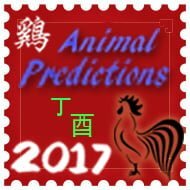 Tui 7 Red (Po Jun) robbery star is a metal star and a yin trigram and known as the mischievous Po Jun #7 argumentative red star is a negative influence in Period 8 and during May 2017, this is located in the west along with the annual #3 and also Tai Sui. 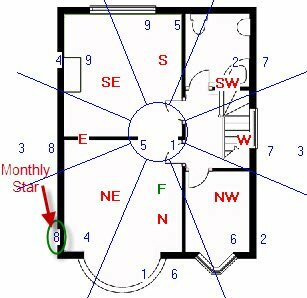 If you have an office or door in this area be careful of people trying to deceive you, robbery, arguments and loss of wealth, always look at the very small print and be careful as this star normally causes problems with people you know and thought you could trust. Please take care with the west this month as this is not a nice area. Those with a main door, office/study in this area will benefit greatly this month although the intensity of these characteristics will differ in varying degrees according to the influence of the land formations around your home. 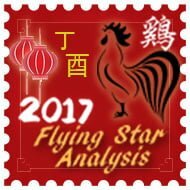 The 5 Yellow (Lian Zhen) star of tragedy is located in centre this month. It affects the overall luck, virtually all types of illness including many mind related problems with regards to thought process, lack of energy and procrastination. It will not affect anyone in particular in the home as the #5 star does not have a trigram and no yin or yang energy so to speak and this is why the negative aspects of this star are so strong. You must not place red objects, bright lights, candles or red coloured furnishing this month. Do not worry if you have these colours already just introduce colours white, silver, gold or copper in the way of a floor mat, cushions, throws, tablecloth or such like. You can also use dark blue or black if you prefer as this should already be in place for the annual stars.